A recreation of my first (working) crystal set, originally built in 1966. Page from "The Boys' Third Book of Radio and Electronics" by Alfred P. Morgan. In the Summer of 1966 I was 10 1/2 years old and one of my favorite TV shows was "Get Smart". It was a show about a bumbling secret agent named Maxwell Smart who had all sorts of gadgets at his disposal. My friend Billy Meyers and I decided we wanted to be secret agents, like Max. One of the "secret agent" things we'd do was to pick out a guy with a briefcase walking home from work and declare him a Soviet spy. Then we would "tail" him for a few blocks, making up stories about him. Billy and I had no way to communicate with each other after we had to come in for the night. He lived half a block away. Kids didn't use the phone back then. There was only one phone in the house and I don't remember using it before I was about 14 years old. 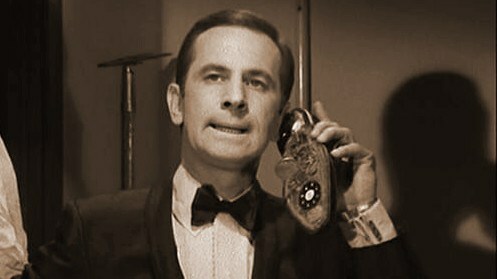 Maxwell Smart had a phone in the sole of his shoe. We needed something like that! Maxwell Smart (Don Adams) Agent 86. 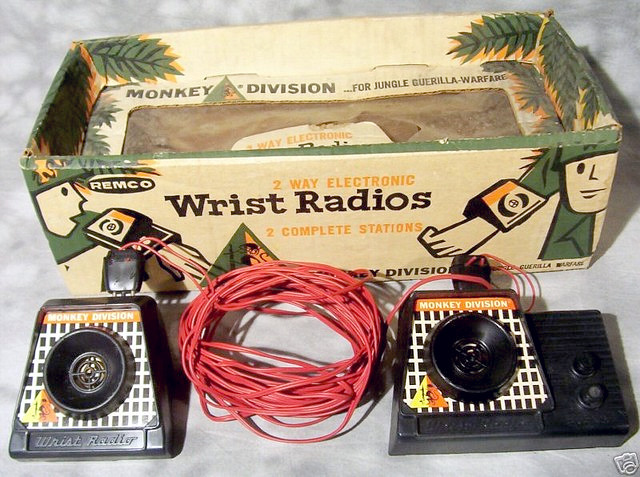 Remco "Monkey Division" Wrist Radios. One thing I DID have was a set of Monkey Division Wrist Radios. These were powered by a single C battery in the "Master" unit, which also had a button on it that would buzz the other receiver to get the users attention (apparently, the other user was unworthy of a button). A metallic speaker doubled as a microphone. The sound was very tinny, but you could make it out. Unfortunately, they were wired to each other. There was nothing "radio" about them. I remember taking them outside with my brother Rob, and I could see and hear him talking at the same time his voice was coming over the wrist radio. They were pretty much useless, unless you like running around with a wire connecting you to your brother. BUT... with some extra wire strung across the driveway, down the backs of the houses and into Billy's bedroom, Billy and I would be able to talk to each other! I immediately presented this great idea to my mom with a request the she fund the cost of the wire, and she immediately refused and told me the electric company would just come out and take the wire down. 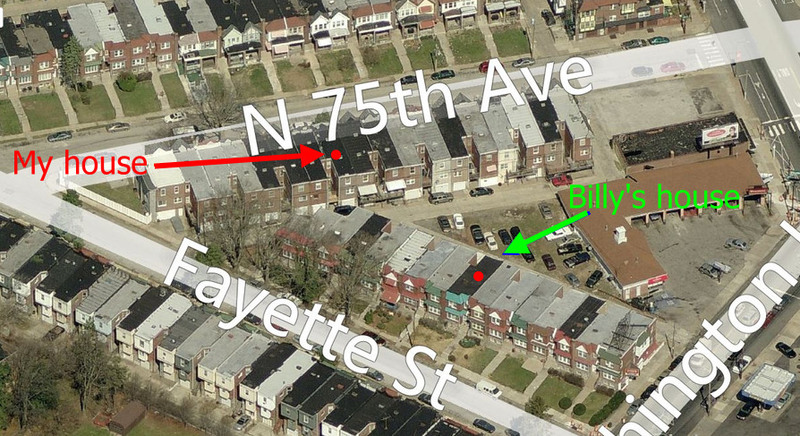 Location of my house and Billy's house (actually his grandparent's house) The wire would have to be strung across the driveway. This is part of the West Oak Lane section of Philadelphia. There was only one thing left to do. 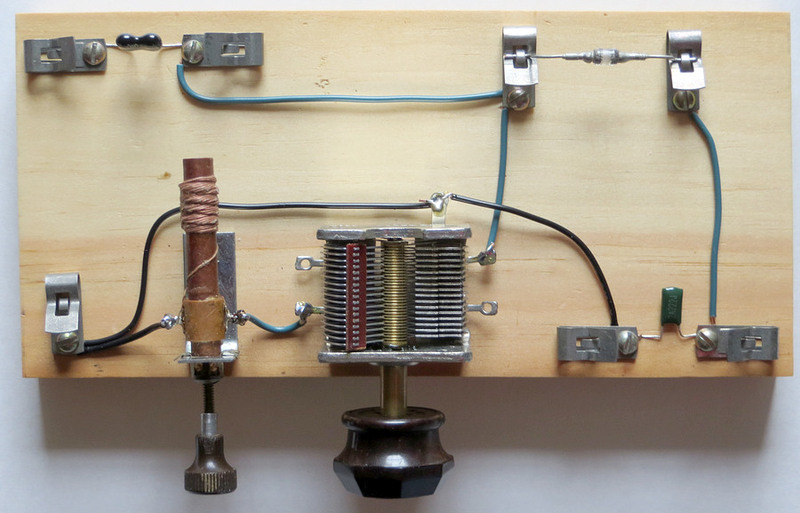 Build a radio. I went down the basement and connected a battery to a speaker and used a coat hanger as an antenna. This was similar to the wrist radio, but the coat hanger antenna replaced the wire. It didn't work! All it did was make clicking sounds in the speaker. I had to wait for my dad to come home from work and ask him why. When my dad came home I showed him the setup and he said, "You don't have a detector." I asked him what a detector was and he told me to go the library and get a book on radio. The next day I had a copy of "The Boys' Second Book of Radio and Electronics" by Alfred P. Morgan. Chapter 2, page 15 was titled "Building Your First Radio Receiver". I wouldn't be able to talk to Billy with it, but that was OK. My mom wouldn't buy me a secret agent coat, we didn't have any gadgets, and our secret agent days were coming to an end. Now there was another problem. None of the parts needed to build anything in the book could be found around my dad's workbench. There was a store on Ogontz Avenue named REE Electronics, so I headed up there with a list of parts. The store sold stereo equipment and fortunately for me, also repaired stereo equipment. I asked the man in the store if he sold diodes or "capacitaters" and he sent me into the back of the place. There were two guys back there and bins of parts along the wall. REE Electronics was located at 7709 - 7711 Ogontz Avenue in Philadelphia. The entire block has been razed and rebuilt, and is no longer recognizable. 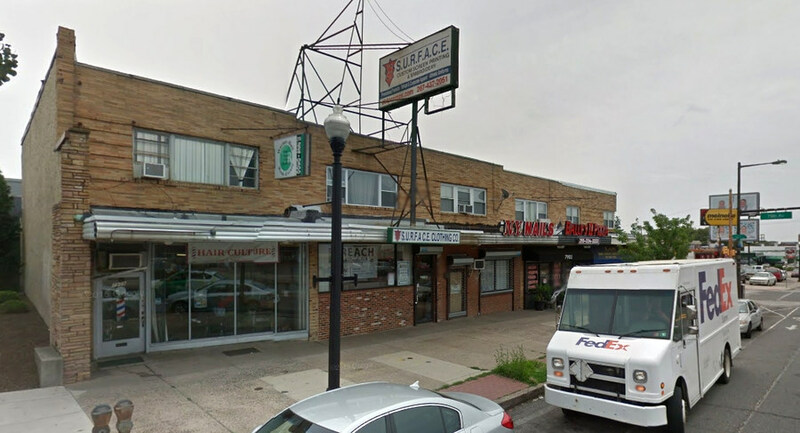 The picture above is the 7900 block of Ogontz Avenue. The store on the left is the only one that retains its original appearance, with the glass store window and the apartment overhead. This is how REE Electronics looked in 1966. The two guys were pretty cool. I announced that I would like a "three hundred and sixty five micro micro farad variable capacitater". They asked me a couple of questions and told me to come back with the book. They had all the parts I needed except the coil. No problem, I would just build the set with no coil. I came home with Fahnestock clips, a 1N34 Germanium diode, a variable capacitor and a crystal earplug. than one cent each. The 1949 Sylvania diode cost me $9.00 in 2015. It is a duplicate of the one I bought at REE Electronics in 1966. The diode was 65 cents in 1966. I can't use the $9.00 diode because I don't want to bend the leads, so I sort of just look at it. Of course the radio didn't work without a coil. It did pick up the slightest whisper of KYW AM 1060 mingled with WIBG AM 990. There seemed to be some buzzing associated with it, as what I could hear sounded distorted. I HEARD something, that was the really, really neat part. It made such an impression on me that I remember the date. July 26, 1966. The "problem" with the Alfred P. Morgan books was that they were not written for anybody as dumb as I was. Morgan didn't write, "If you can't find the coil you can make one." He just said to go buy a coil. Not only that, but there were no photographs in the book, though there were excellent drawings on almost every page. Since I had never seen some of the parts in real life, I didn't know exactly what the coil looked like, and I didn't understand what it did. That's because I didn't read the book! I was stuck on page 15. 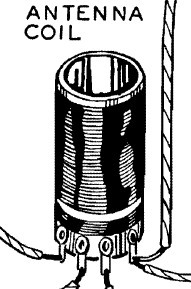 This is the picture of the coil from the book. I didn't know what I was looking at. I returned the book to the library and came home with "The Boys' Third Book of Radio and Electronics." I found a simple radio on page 104 and soon headed back to REE Electronics. This time, they DID have the coil! 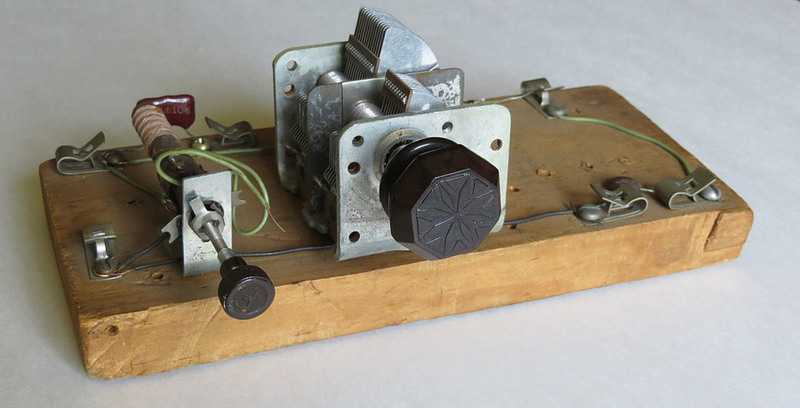 I can't remember how much time passed after the first non-functioning radio was built. Probably a month or so. I asked my dad to cut me a wooden base for the radio. 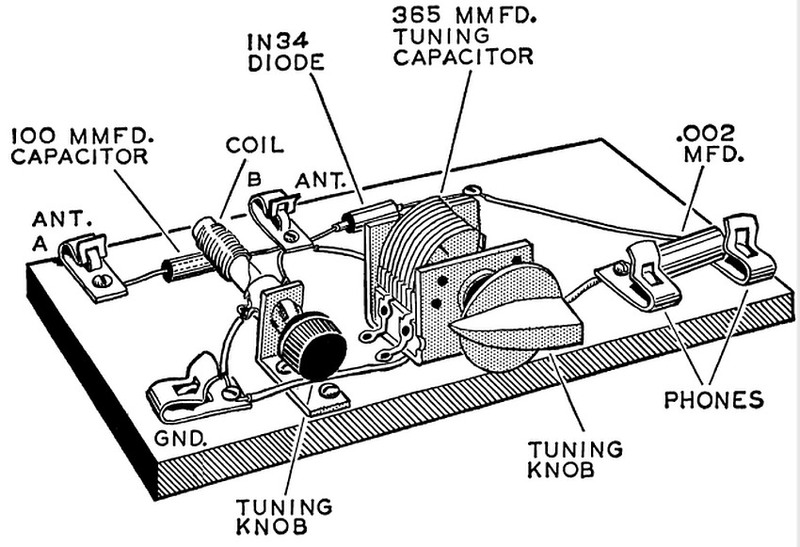 I started building the radio and, if I remember correctly, it took me a long time. I didn't have a drill, so any holes in the base were made with the point of a compass. There were three connections that needed soldering. I got some solder from the basement, and the tweezers and alcohol lamp from my chemistry set. The tweezers were heated in the flame of the lamp till the tips began to glow, then I would quickly solder the joint. One day a friend from school named Leo Pound stopped by on his bicycle. This was a bit unusual because Leo lived miles away. I don't even know how he knew where I lived. He recently told me (via Facebook) that he remembers helping me build the radio. Odd that it was the one and only time he came by. Apparently, we got the radio working that very day. 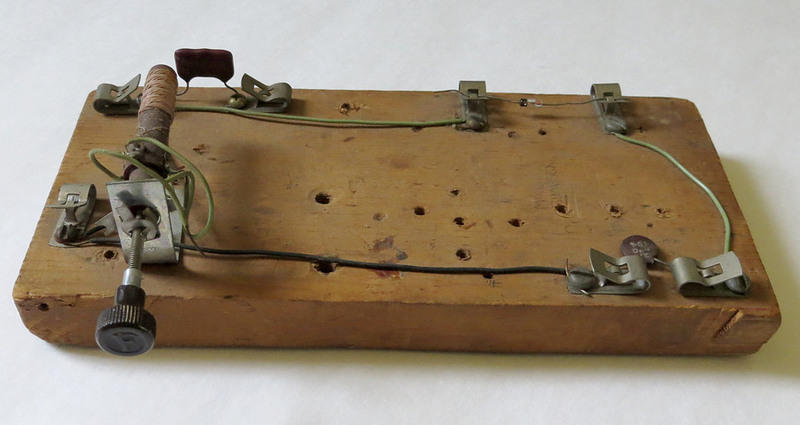 Here is the base of the radio made in 1966. I found all the original parts except for the tuning capacitor. However, it looked like this one. It's just sitting on the base in this photo, but the radio pretty much looked exactly like this. My dad gave me the big tuning knob. The smaller knob came from a lamp in my bedroom. I didn't tell my mom you could no longer turn on the lamp, but eventually I found a lamp in somebody's trash and took the knob off to replace the one on my lamp. 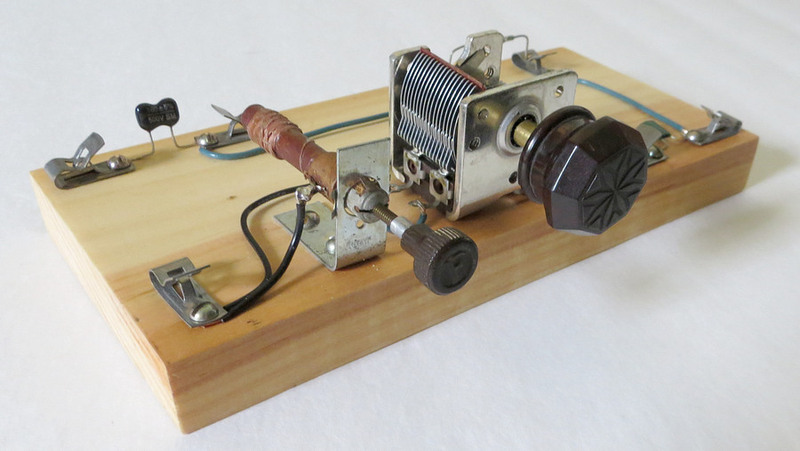 Original coil, diode and main tuning knob from the 1966 radio. The wires on the coil were soldered with a pair of red hot tweezers. My dad gave me the large knob for the tuning capacitor. He had a second job on the weekends at "John Cusimina's Moving and Storage." I've always wondered if he pulled that knob off of somebody's radio while they were moving. I hope not. He probably did.